Leadership is a matter of getting your subordinates to want to do what they need to do to accomplish the mission. That happens when you gain their respect by not only to striving to accomplish the mission, but also to look out for their well-being. Emil Koledin was that kind of Marine Corps officer because he was that kind of a man. He graduated in 1947 from Brown University in Providence with a degree in electrical engineering and a commission in the Marine Corps Reserves. He came back to Sharon to work as an electrical engineer at Sharon Steel. In 1950, he founded his own E. Koledin Electric. When he was called to active duty in 1951 to serve in the Korean War, he closed up his business. He served as an engineering officer in the 1st Marine Division’s Shore Party Battalion, which was responsible for construction, road building, and other combat engineering functions. He wrote home about how cold it was – sometimes 20 degrees below zero. After the war, he told his children about how much he loved and respected his fellow soldiers and everyone underneath him. When he had the chance to go to Hawaii on R&R, all of his men wanted him to go, but he would not leave. He insisted on staying with his men. As he sailed back home from Korea in May, 1954, he knew he would have to start up his business again, but didn’t have the capital to do it. So he played poker, and won enough to restart his business. After reestablishing his electrical business, he opened Wesex Corporation as a general construction firm. Since then, Wesex has constructed many commercial buildings throughout the Shenango Valley and beyond. 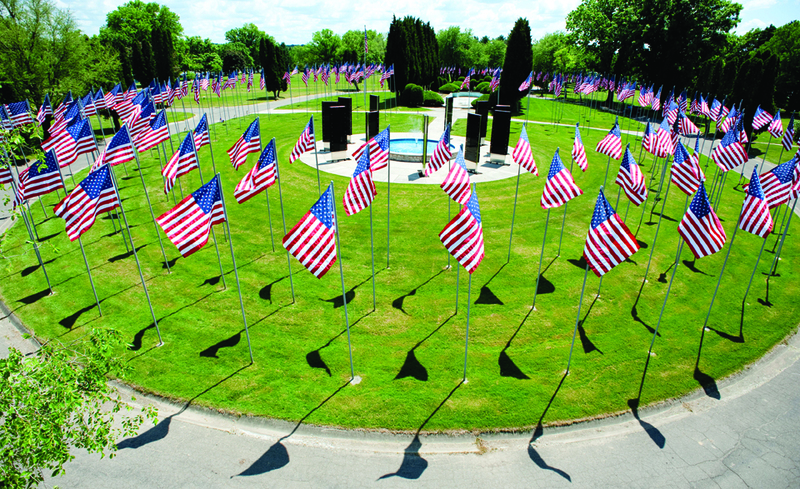 One of his favorite projects was the design and construction of the War on Terror Veterans Memorial in America’s Cemetery (formerly Hillcrest Memorial Park). 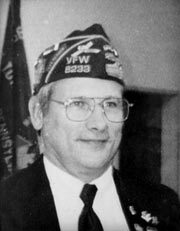 His love for his community and his country was expressed through his active involvement on many boards of directors, many civic organizations, and the Republican Party. Through all this, he raised two families. He and his first wife, Claire, had two daughters, Janice and Kathleen, and one son, Emil (Butch). With his second wife, Kathy, he also had two daughters and a son: Teresa, Tanya, and Greg. Emil passed away on May 24, 2o1o. He is buried in a place of honor near the War on Terror Veterans Memorial. 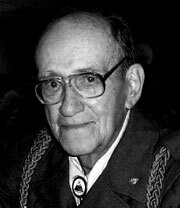 After landing on Omaha Beach on August 9, 1944, a month and two days after D-Day, John advanced with the Seventh Armored Division all the way across France – fighting the Germans, building bridges, blowing things up, rescuing other military units, and liberating French cities. By December, 1944, the American and Allied armies had reached the German border. It looked as if the war was almost over. Then Hitler launched a surprise attack with virtually all of his remaining forces and pushed the line back 70 miles. The Seventh Armored Division was thrown into this “Battle of the Bulge” as reinforcements. The Germans weren’t the only enemy. With limited transportation available, the American generals opted to give priority to shipment of ammunition and fuel rather than clothing. The weather turned bitterly cold, with wind chills around 30 degrees below zero. Stuck in summer uniforms, many of the troops – including John – suffered severe frostbite. Meredith kept different kinds of souvenirs from his World War II combat days until his death in December, 2003. Some were extremely painful, such as the German bullet that could not be removed from his leg. And the extremely painful aftereffects of the severe frostbite plagued him until the day he died. Other memories more than made up for the pain and suffering, such as the medals he received for his actions. He was also proud of the letters of appreciation sent to the Seventh Armored by the French cities they liberated. Even after hard-fought battles, the true character of the American soldier still showed through. 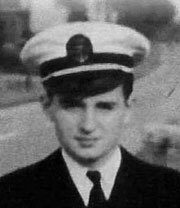 John Pariza was born in East Liverpool of Romanian parents, who took him for a visit to Romania before World War II. Because of Hitler’s aggression, the family was stuck there throughout World War II. After his family came back to Youngstown in 1946, kids in school made fun of him because of his broken English. At age 16, he beat up a couple of his antagonists and spent three days in a detention home. When he was 17, he quit school and joined the army. That was just before the North Korean army invaded South Korea, quickly pushing the South Koreans back into a 100 by 50 mile rectangle at the southern end of the Korean peninsula – the infamous Pusan Perimeter. Within hours of arriving there, Pariza was on patrol in a rice patty. The newly-arrived U.S. and United Nations troops fought their way up the peninsula to China. Pariza suffered frostbite and two wounds. He was even a prisoner of war – for about 45 minutes during the early part of November 1950. Elements of the Chinese army had come south to reinforce the North Koreans. While on patrol, his 12-man squad unit was captured by a whole company of Chinese. “They assigned eight Chinese to take us north,” he said. Fortunately, nearby Turk and Greek units of the United Nations contingent had seen what happened. They attacked the Chinese with knives. Not one shot was fired. Because of that rescue, Pariza was not one of the 2,900 Americans who died in Korean prison camps, nor one of the 8,100 who are still listed as missing. It took him a year and a half to achieve that dream. 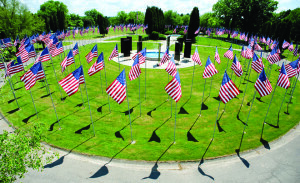 You can visit it in front of the Oak Tree Country Club, next to the Ohio line on Route 318 – now known as the Korean War Veterans Memorial Highway, also through John Pariza’s initiative. For Marines in Vietnam, as in most war zones, “Doc” was a Navy medical corpsman, because the Marine Corps had no medics of its own. “Doc” accompanied the Marines into the teeth of the battle, because when a Marine went down, “Doc” had to be right there to help him. With his focus on attending to others rather than on defending himself, the medical corpsman was particularly vulnerable. Unfortunately, Joe’s good fortune ended on March 7, 1968, when he was killed by small arms fire. 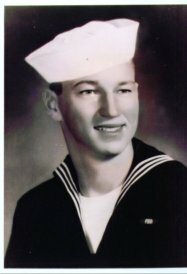 Joseph was the fifteenth serviceman from Mercer County, PA, killed in action in Vietnam. On the evening of December 8, 1967, soldiers of the 1st Battalion 2nd Infantry were complaining that their air mattresses were full of holes from enemy mortar fire. Maybe they were seriously upset, but more likely it was their way of dissipating the stress caused by a rough day. They were positioned in Phuoc Long Province, not far from the Cambodian border. The day before, one of their recon patrols had encountered the point element of a North Vietnamese army unit. The fight lasted only a short time, with no American casualties. That successful recon alerted the Americans to the presence of the large NVA force. At 0200 the following morning, Specialist Paul Dufford from West Middlesex was manning a listening post with two other men in front of the battalion’s night defensive position. Detecting movement in the area, he radioed the battalion commander to warn of an impending attack. Their position was quickly surrounded by a large force. In spite of the danger, Specialist Dufford remained at his post so he could advise the commander on the size and movement of the enemy. With the battalion being hit by heavy mortar fire, the three men were ordered to return to the perimeter, but their position was overrun before they could do so. An enemy grenade wounded all three men. Specialist Dufford killed the grenade thrower, who was only a few feet away. Ignoring the relentless enemy fire, he started to help his wounded comrades back to the perimeter. As the enemy closed in, he provided suppressing fire that allowed his comrades to reach safety. He himself didn’t make it. He was killed my an enemy mortar round. That day, the American forces repelled the massive assault with only four dead and a number wounded. The two battalions of the two 273rd NVA regiment that conducted the attack suffered massive casualties. Had it not been for the bravery of Specialist Paul Dufford, the outcome might have been very different. For his heroism that night, he was awarded the Silver Star. Paul was the son of Mr. and Mrs. Charles Dufford of West Middlesex, PA. The Hickory High School graduate was decorated not only with the Silver Star, but also with a Bronze Star, Purple Heart, Combat Infantry Badge, and Vietnam Service medals. For a helicopter pilot, excellence doesn’t guarantee survival. 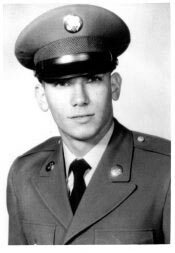 Thaddeus M. Yonika, Jr., of West Middlesex, enlisted under the U.S. Army’s warrant officer flight program in July, 1968. In February, 1969, he demonstrated his superior ability to fly helicopters by graduating sixth out of a class of 120 from primary helicopter school in February, 1969. He went on to the Rotary Wing Aviator course. WO Yonika was assigned to fly a Cayuse Light Observation Helicopter. His job was to fly over suspected enemy locations to get shot at. His crew would mark the location of the source of the fire; attack helicopters such as Cobras would swoop in to destroy the enemy. The Cayuse had the reputation of being able to take a lot of hits and still keep flying. But it wasn’t invulnerable. On 21 December 1969 while flying OH-6A tail number 67-16142, WO Yonika and his crew encountered a force of NVA at a location we called Pearson’s Field, near the Cambodian border. His LOH was hit by enemy fire and as he evaded away from the NVA and tried to land outside the enemy’s fire the aircraft crashed. Unfortunately, the aircraft exploded and Thad along with Chris “Kippy” Gray (gunner/ Torque) and Barry Kaletta (observer) were killed. The son of Mr. and Mrs. Thaddeus M. Yonika, Sr., of West Middlesex, Thad was a Rotary International Exchange Student to South Africa in 1966. 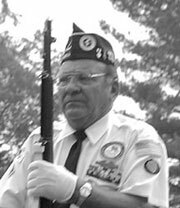 After graduation from West Middlesex High School in 1966, he attended Shenango Campus of Penn State University and worked as an orderly at Sharon General Hospital. He is buried in Hillcrest Memorial Cemetery.